Journal of the History of the Behavioral Sciences is now online. Included in this issue are a number of new articles that range from the difficulty in classifying postpartum depression, the mental hygiene in socialist Mexico, and even a digital analysis of the Psychological Review. Full titles, authors, and abstracts follow below. The concept of evidence has become central in Western healthcare systems; however, few investigations have studied how the shift toward specific definitions of evidence actually occurred in practice. This paper examines a historical case in psychiatry where the debate about how to define evidence was of central importance to nosological decision making. During the fourth revision of the Diagnostic andStatistical Manual of Mental Disorders a controversial decision was made to exclude postpartum depression (PPD) as a distinct disorder from the manual. On the basis of archival and interview data, I argue that the fundamental issues driving this decision were related to questions about what constituted suitable hierarchies of evidence and appropriate definitions of evidence. Further, although potentially buttressed by the evidence-based medicine movement, this shift toward a reliance on particular kinds of empirical evidence occurred when the dominant paradigm in American psychiatry changed from a psychodynamic approach to a research-based medical model. The March 2013 issue of the History of Psychiatry is now online. Included in this issue are a number of articles ranging from morbidity and mortality caused from melancholia, to a revisiting of the mental hygiene movement, and even to William James’ psychical research. Full titles, authors, and abstracts follow below. Whereas psychological research can hardly accept the idea of a changing psychological architecture, mind’s historicity seems to be commonplace among historians of psychology, at least in recent decades. Attempts to promote a convergence between psychology and history have always existed, though mainly in the margins of both disciplines. Among these attempts, there is a tradition in French psychology that remains quite marginal even to the history of the discipline and is practically unknown out of the French context. Our goal is to introduce this approach, through the work of its main architect, Ignace Meyerson, to an English speaking reader, in the light of current pleas for historicity. 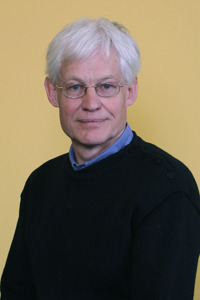 Developed within the core of the discipline of psychology, though in dialogue with many others disciplines, Meyerson’s historical psychology appears to be more ambitious than other attempts, as it aims at studying psychological activity itself, beyond the history of its conceptualizations. It is concerned not with the analysis of fragmented, isolated, and mechanistic behaviors or cognitive process, but with the study of mind in its functioning through the multiple and changing fields of experience where human beings are involved. From the late nineteenth century onwards religion gave way to science as the dominant force in society. This led to a questioning of the principle of free will – if the workings of the human mind could be reduced to purely physiological explanations, then what place was there for human agency and self-improvement? AHP is pleased to present an interview with Michael Pettit, author of the newly released book The Science of Deception: Psychology and Commerce in America. AHP: As an historian of the human sciences, what led you to investigate the topic of deception and psychology? MP: My interest in deception was originally inspired by my training in American history and the history of capitalism. Early in grad school, I had been reading quite a bit about the showman P. T. Barnum, his entertaining hoaxes, and the culture of exhibition. I was curious about the role of the fledging American scientific community and their expertise in the reception of these spectacles. I also wanted to figure out what happened to fraud (legally and culturally) after the golden age of Barnum’s humbugs had passed. As I began the research, I found books by early popular psychologists on the same shelf as Barnum’s exposés which led me to ask about the historical relationships between the two. AHP: Psychologists have, at various times, sought to detect, deploy, and even diagnose deceptive practices. How has deception become so central to psychology, and is a psychology without deception even possible?